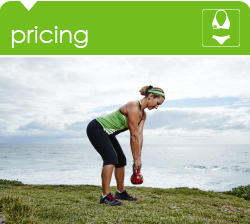 How much does group training cost? as many sessions each week as you choose! from less than $8 per session! as many sessions each month as you choose! This is a special rate only available to Babes with Babes Fitness current members. I was training just one day a week but then when a few of the other girls from the group told me about another class they do, I decided to join them. I’ve also brought my own friend along. I love the social aspect of the babes training and also the different trainers who bring their own personal skills and style to their particular class. I also love being outside and particularly enjoy training on the beach (sand and all). I have been training outdoors with Babes for 2 1/2 years. I love that my “gym” is a park bench, the fresh air, sunshine. The trainers are always aware of your fitness levels and every exercise has a modification, if you are newly back into exercise, pregnant or even injured, their is an option to suit everyone. I started out one session a week, gradually increasing to two (and sometimes three) ~ the energy and motivation from the small group sessions far outweigh a run on the treadmill or a sweaty gym class. I have made some great friendships and always enjoy the “adult” time away from the kids, looking after myself so that “mum” is getting fit and strong, being a great role model for my three children to follow. I started training with Babes with Babes halfway through my second pregnancy. Thanks to the care and support of my Babes trainers, I was still able to continue training up until 35 weeks. I returned to training doing pram sessions with my bub from 8 weeks – getting out of the house and training in the sunshine was truly a lifesaver in those intense early months and was a highlight of my week. Now my baby is older, I have graduated to the sessions without prams and feel fitter and stronger than ever. I’ve never done the same session twice and have been able to work at my level, with appropriate guidance on how to challenge myself further. Throughout pregnancy, post-natal recovery, and beyond, all of the Babes trainers have supported and encouraged me and I could not recommend them more highly. Babes with Babes is one of the most encouraging, enjoyable and motivating organisations I have ever had the pleasure of training with. Every session is filled with challenge, fun and a sense of having achieved more than I thought possible. I always look forward to my training sessions and leave feeling fulfilled and proud of my achievement. Everyone is so friendly and non-judgemental – we all work at our own pace and level. The trainers are supportive and so knowledgeable. Training outdoors is a great way to really appreciate the beautiful surrounds in which we live and far more enjoyable than being stuck in a stuffy gym! The option of childcare is a great incentive too. With a huge variety of class times I feel I have NO excuse to get myself feeling fit and fab! Thanks Babes…don’t know what I would do without you! Having trained throughout my pregnancy I was a little concerned how I would be able to manage an exercise class once my little one arrived, having no family locally who would be able to babysit. I was so excited to learn that Babes with Babes ran regular training sessions offering either a babysitting service, or ‘pram sessions’ where I could bring my son along. I loved joining the outdoor pram sessions, Nicky and Sonya kept me motivated to work hard and I enjoyed meeting other new Mum’s too. Now that my son is older, I happily leave him at home with Dad while I join one of the regular Saturday sessions and enjoy the peace and quiet! I always enjoy my Babes Fitness sessions. No matter how tired I am I always know that after a Babes session I’ll feel great! The trainers are knowledgeable, caring and motivating. I love that each session is different and there is great variety with the exercises that are offered as well as the areas of the body that are worked. The trainers are always thinking about YOU and alter exercises depending on each individuals circumstances, whether it be a minor niggle, an injury, pregnancy or post-birth. Babes offers Mums their own time to think about themselves, get some fresh air, take in some exercise but also a chance to socialise and network with other Mums. Babes Fitness has been a great motivator for me to get strong, fit and healthy after the birth of my two children.